The three were taken to hospital for smoke inhalation after the blaze broke out in their apartment. 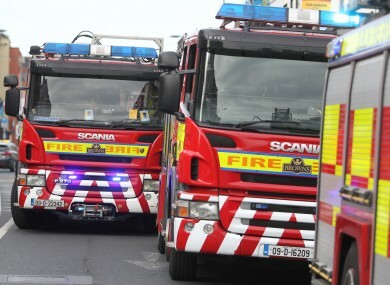 A WOMAN AND her two young children are being treated in hospital after being rescued from a serious fire at their home in Dublin in the early hours of this morning. The blaze broke out at the apartment in Shankill in south county Dublin at around 7.30am. Dublin Fire Brigade crew rescued the woman and one of the children from a balcony attached to the apartment. The second child was found in a search of the smoke-filled apartment by the DFB crew. All three have been taken to hospital to be treated for smoke inhalation. The two children are believed to be aged 3 and 6 years old. Email “Mother and two children rescued from Dublin fire”. Feedback on “Mother and two children rescued from Dublin fire”.